So, Hell Spawn has come out. Now it's time to play one of my favorite family games growing up. The game is "But who would you get for the movie?" Yes, most readers have had that experience, haven't we? Wondering who of our favorite characters would be played by. Who would match them best. I've done this game with A Pius Man several times. For some reason, I never got around to doing it for Love at First Bite, though one of my acquaintances did. These tend to be photograph heavy. One of the specs that Russell wanted when I originally pitched him was that he wanted fewer characters than my usual. Reading through my vampire series, you can see how fast things grow. I end up with a host of colorful characters, who are unique and .... well, they stand out. Though some of them fell by the wayside more than I expected, even there. With Saint Tommy, NYPD, I was going to make an effort to cut back on the number of characters. I tried to have two characters take up 90% of the screentime. I needed three, and some supporting characters. One I didn't even see coming. This was, perhaps, the first person I cast. And strangely enough, his looks have morphed in my head over time, along with his rank. 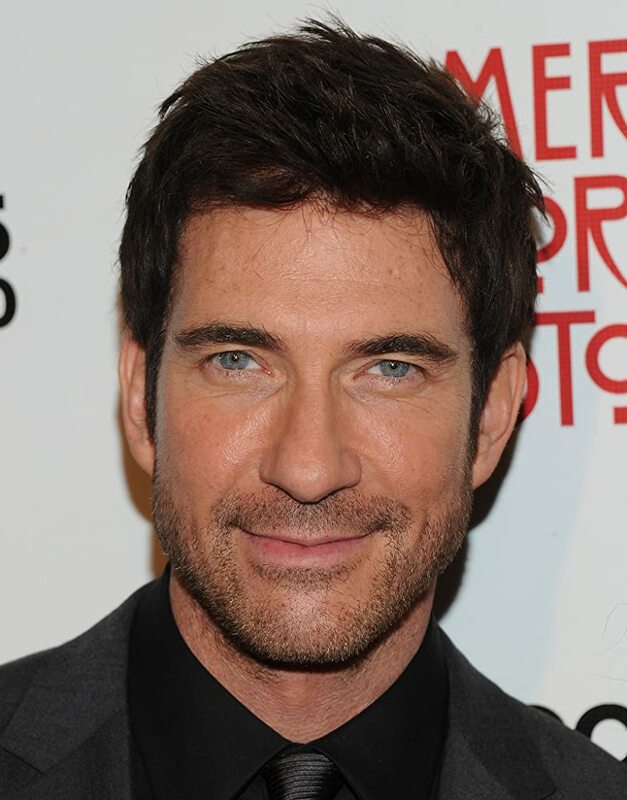 I had always pictured him as a bachelor patrolman played by, of all people, Dylan McDermott. I had him clearly in my head: black hair, sky blue eyes, long and lanky in blues (ignore how short McDermott is next to Clint Eastwood in In the Line of Fire, he's actually 6'0"). Yes, I know he's too old at this point, I'm talking about ideal casting with a time machine. Don't even ask me why. I've only ever seen McDermott act in suits. You'd think putting the character into one would have made him fit better. But no, Nolan became ... more virtuous, and less uptight. Don't even ask me why. He became calmer. I won't say mellow. Perhaps "zen." He spoke better. He was thoughtful. Considerate of his words. His elocution improved. The short version .... he became Will Estes, best known for Jamie Reagan from Blue Bloods. Yeah, don't ask me why putting him in a suit and tie made him change actors in my head ... especially when he's best known for wearing a uniform. Don't ask, my brain is strange. But you'd be surprised how much of a distinctive voice a character has when you run it through a specific voice filter. If it doesn't sound right, it'll stick out. Will Estes fits the role more for the way he talks than for anything else. And trust me, this is as big a surprised to you as it is to me. Thankfully, I don't actually have to describe him all that much in the books. After all, it's first person narration. Heh. This is more of a police procedural than anything else. There's less "who done it" than going through the motions from point A to B to C. There were some episodes of Castle a lot like this, where the entire episode went by, and you may have seen the killer for a minute or two in the opening scene. It was almost Scooby Doo in their execution, only the killer was even less vivid. I'm not going to tell you an awful lot about the character, because, well, there needs to be some mystery. The killer, however, is ... dark. Cold. Evil. I'd almost want to give him to Jim Caviezel. Given how Caviezel works, he'd probably take it. Given how Hollywood casting gave the 6'5" Jack Reacher to 5'5" Tom Cruise, they'd probably offer it to him first. But I also made him short. At least, shorter than average. Say he's around 5'6." But I wouldn't say no to Jim Caviezel, because I can see him doing three of the characters on this list if you pushed it a little. But going by the description in the novel, we need short. And short actors are easier to find than you might think. Considering how creepy this sucker is, if I was using a time machine, I'd go back to 1996, and grab Brad Dourif, who has played every crazy person in Hollywood since Chucky. Everyone knows Michael J. Fox... but Parkinsons is a deal breaker. Seth Green... I don't know if he can do Satanic evil. .... Hmm, now here's three contenders. Daniel Radcliffe, Elijah Wood, and Martin Freeman. And I'm good with and of the three of them. Radcliffe playing against type would be entertaining. I'm told that Elijah Wood stands out as a psycho in, I think, Sin City. And Martin Freeman can do whatever he likes as far as I'm concerned. A fellow named Al Packard was a friend of the family when I was growing up. To be honest, I never knew if Al was short for Alexander, Alphonse, Alfred, or Alfredo. He was smart. A fast talker in both word and thought. His conversations could come out in fast, clipped, machinegun fire storm of bullets. He was bald for as long as I could remember, and I distinctly remembered his mustache, though he shaved it off in later years. When I was developing a partner, I wanted someone different from Nolan. Think Jerry Orbach from Law and Order. Cynical. World weary. So we need an older actor, bald, who can rock a mustache, and can give us a gamut of emotions from cynical to "Holy Crap, what was that?" I think JK Simmons can pull it off. A lot of these people I have bouncing around the story. They are largely supporting cast, since I didn't want to get anyone too big a part unless they were our hero or our villain. Packard just wouldn't stay quiet, and he wouldn't go away. He wouldn't even shut up. And putting him in the hospital would be a little cliche. Don't believe me, watch a Dirty Harry film sometime. Tommy Nolan isn't Clint Eastwood, much to the gratitude of his partner. One of the other things that surprised me when Tommy became a detective was, suddenly, he had a wife and child. No, seriously brain, where did they come from? I have no idea. For some reason, she popped up, fully formed in my head. Also, she looked like a friend of mine. No, I won't post a picture. It was odd. But I will say she's a brunette, brown eyes, round face, almost Italian looking. Her hair goes down to the top of her shoulder blades. Hmm.... Bridget Moynahan? Maybe. Her face isn't round enough. Though it's odd to realize that she goes back to Coyote Ugly and The Recruit. .... Huh. Wait, I know. Dark hair. Dark eyes. Can act. Okay, Eliza Dusku is running a production company at the moment, and she's producing a film she's not even starring in. And, technically, she's about eight years older than the character is, but I'm not going to be nitpicky. She fits. I do like me my funny names. D was a character developed largely because I wanted two things. I wanted to show that Nolan was merciful, someone who could get along with anybody as long as they were willing to afford him the same respect. Also, Tommy needed someone with street contacts. It was hard designing someone like that. Your average street criminal uses cops for initiation and target practice. Kill a cop, get your merit badge. So he needed to be a better class of criminal. Do I use the mafia? It's tempting, but I've already used the mafia in Love at First Bite. What I needed was someone who could be classified as organized crime, but enough street to fit into the precinct I'm looking for. So, black fellow. White collar crime after graduating from street crime. In my head, I wanted a young Yaphett Koto, Live and Let Die era. Big, but not fat. Businesslike but not with a business cut. And while I mentioned I would be casting with a time machine, I'm not going to reach back that far into the past. We need someone who can pass for a criminal, yet be dignified. A -- pardon the expression -- white collar criminal who will smack you for saying "gangsta" because it's pronounced "gangster, now pull up your damn pants." I guess there's Lawrence Fishburne, who every seems to believe as a street criminal, even though he talks Shakespeare. Again, too old. If only there was a younger clone of him. Meet Lawrence Fishburne's son, Langston. Or should I say his clone. He played a younger version of his father for Ant-Man and the Wasp, and damn does he look like his father, especially in that film. it's only in this lighting that I can see it's not the same person. Did they CGI Langston to look like his dad? No idea. I did not see this one coming. During the investigation, Detective Nolan will step on a few toes. Lawyers will be called in. Or in this case, the lawyers will summon Nolan and Packard to Manhattan. Yes, Queens has an ADA, but politics is a thing. Don't ask me how, he's been a recurring character in all three novels so far. Okay, in my head, he came out as John C Wright. I actually asked people who knew him. We ended up with two actors. 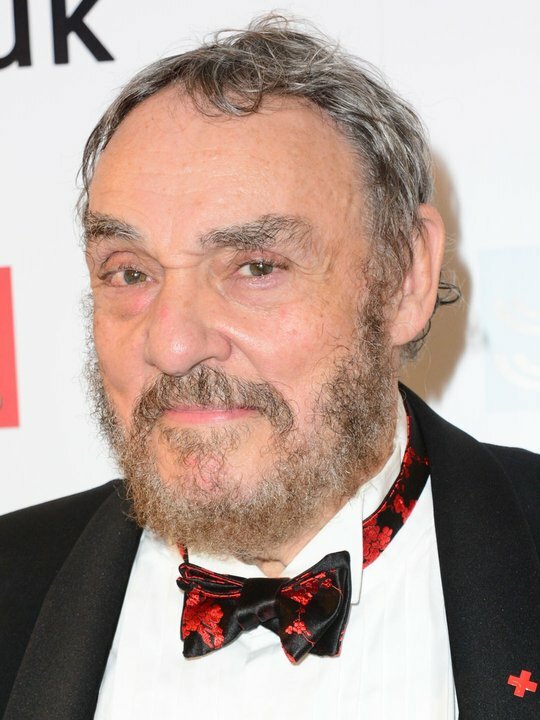 Brian Blessed, or John Rhys-Davies. When I was writing up the outline on the novel, I knew I needed a medical examiner. There were creepy and unnerving details that were only available during an autopsy. It's strange when I teach my editor (who's probably better educated than I am) a new word. At the time, I was listening to a lot of the group Within Temptation. Their lead singer is Sharon den Adel. One of their hit songs is called Sinead. The next part of the YouTube playlist was Peter Holland. That's pretty much all you need to know of that character design. As for actress .... no idea. Den Adel is from Europe, so she has an accent. And in her videos, she handles English well, but I have no idea how much of that is practice. She's not an actress. And I don't think an ESL star, no matter how much practice she has, wants to handle technical medical vocabulary. I mentioned Alyssa Milano earlier. Maybe her? Or Maria Bello. They're both in the right age for that, and there are some similarities to den Adel. When I was talking with my family about this plot, I believe it was my father who created a random encounter. As I was writing a scene, I needed, well, another random encounter. And this throw away random character not only justified the encounter suggested to me, but also ended up with a character who lasted all three book. Enter Rene Ormeno. I won't go into him too much, but let's just say that he leaves a mark. With a 2x4. 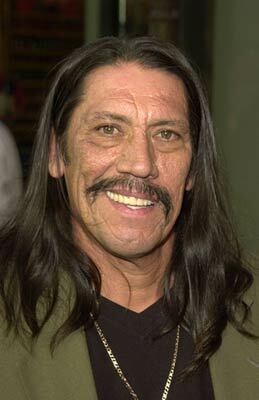 Latino male, well built, early 30s. 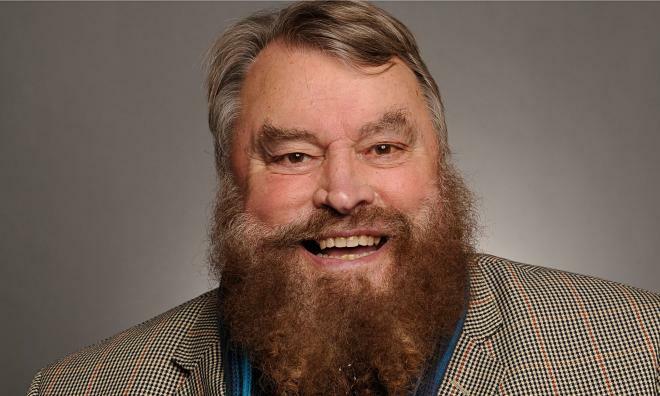 I originally wanted Bruce Ramsay for Ormeno. Fans of Babylon 5 might know him better as the possessed in Babylon 5: The Lost Tales film. I would have had him for the killer, but there's a scene in Death Cult he would be perfect for. I like his voice modulation. But he's a little too white to play an MS-13 shot caller. I'd say Robert LaSardo, but he's been been "MS-13 knockoff #5" since he guest starred on CSI: Miami. Sadly, most of the actors I can think of for this role are either too old (Trejo, Banderas, Bardem, Leguizamo) comedy relief (Michael Pena) too short (Moises Arias, who's 4'11")or Jay Hernandez... that guy on the Magnum knockoff. Then again, as Ormeno is a member of MS-13, with a face full of tattoos, Hernandez could pull it off, if he didn't mind playing the bad guy. I knew I would need a priest in this story, if only because, well, saints and demons and whatnot. More importantly, I needed someone who either knew supernatural crap or could readily lay his hands on it. At the time, my friends AM Freeman and Richard Paolinelli were on Facebook. Now you know the secret to my naming convention system. I smash together whoever is lying around. Father Freeman is slender and graying and ... screw it, I want to but Jim Caveizel in here somewhere. Here will do. Whew that was a lot of stuff. Anyway, that's pretty much it. There's one character left, but we'll talk that over when Death Cult happens. Be well all, and I look forward to seeing your reviews on Hell Spawn.